Last year Kohler, the interior fittings manufacturer, announced its “Intelligent Toilet” called Numi that featured Bluetooth, SD card support and self-cleaning function. The company has now taken things up a notch and announced a revised version of it, called the Numi 2.0. 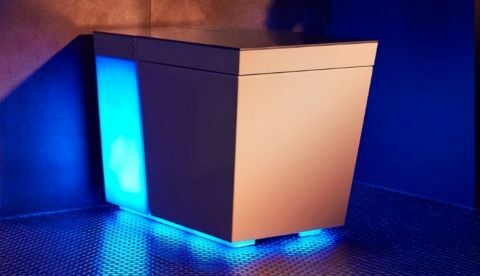 The new toilet was unveiled at the ongoing Consumer Electronic Show 2019 trade show in Las Vegas. This new iteration of the toilet comes with added functionalities like Amazon Alexa integration, built-in surround system and more. The white colour version of the toilet is priced at $7,000 (Rs 4,92,975 approx), while the black version is priced even higher at $8,000 (Rs 5,63,150 approx). Those who plan on splurging on what is possibly the ultimate toilet in the workd will have to wait till Q4 2019 to do so. 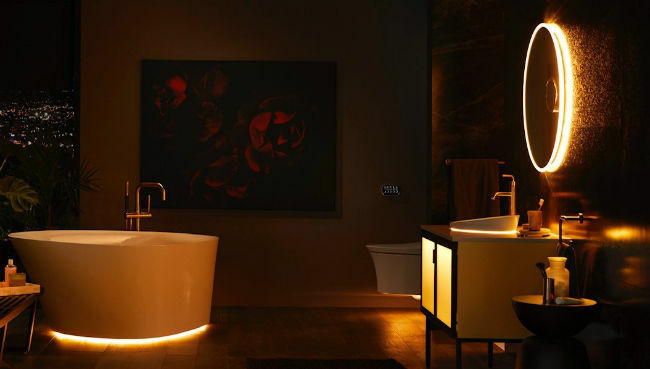 Alongside its Intelligent Toilet, Kohler has also announced its new Veil Lighted bathroom collection, which is claimed to be the first-ever connected bathroom suite. The Numi 2.0 Intelligent Toilet is said to offer enhanced water efficiency over its predecessor. It also offers personalized cleansing and dryer functions, a heated seat, and comes equipped with built-in speakers. The previous revision of the toilet came with static colours but this time they are dynamic, interactive and multi-coloured ambient and surround lighting. “Paired with the new speakers in the Numi toilet, these lighting and audio enhancements create a fully-immersive experience for homeowners. Amazon Alexa built into the product provides simple voice control of Numi’s features and access to tens of thousands of skills, as well as a seamless integration of voice control into the bathroom,” Kohler states in a media release. In other words, the toilet offers RBG lighting. As mentioned above, the company also showcased its Veil Lighted Bathroom Collection. It is a connected lighting setup that works with the Numi 2.0 and other new fixtures like freestanding bath, lighted mirror, and lighted three-piece vanity mirror. The Veil Lighted Bathroom Collection also enables users to personalise their bathroom via voice, motion-control, a physical remote control, or the KOHLER Konnect app. It also It currently works with Amazon Alexa and the Google Assistant, so you can converse with your toilet if you want. The company also announced some more new smart products like the Verdera Voice Lighted Mirror, Sensate Touchless Kitchen Faucet, DTV+ Shower System, PerfectFill Technology (bath filler), and the PureWarmth Heated Toilet Seat. The Verdera Voice Lighted Mirror comes with Amazon Alexa integration. 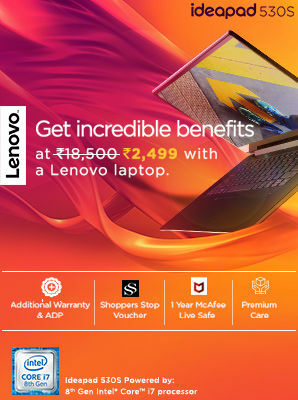 The device previously came with Google Assistant built-in. Both the Verdera Voice with Amazon Alexa and Verdera Voice powered by the Google Assistant are said to be ‘high-quality grooming mirror’ that feature adjustable LED lights for routines like makeup application and skin care. There is also a motion-activated wayfinding nightlight, and hermetically sealed speakers. The Sensate Touchless Kitchen Faucet, as the name suggests enables users to turn the water supply on or off with voice commands or motion-based interactions. It can also dispense measured amounts of water. Users can fill an eight-ounce cup of water or a large pot with hands-free voice control. The faucet comes embedded with a sensor that monitors water usage, which is displayed on the KOHLER Konnect app. The company also unveiled its PureWarmth Heated Toilet Seat that comes with three warm temperature settings and an integrated adjustable nightlight. The seat can be controlled via the app that will enable adjustment of temperature, duration of heating, along with the lighting duration and ambience. DTV+ Shower System will enable users to create presets for sound, water, steam and lighting. One can also enable voice, or a wall-mounted interface to access presets, make adjustments, and use the system’s eco settings to control water usage. Consumers who already have DTV+ systems in their homes can upgrade by having a bridge module installed to their existing systems. PerfectFill Technology (bath filler) is said to draw a bath to the user’s preferred preset temperature and depth with a voice command or via the KOHLER Konnect app. PerfectFill will be offered as a wall-mount or deck-mount spout, or freestanding bath filler and also includes a valve, drain, and controller.